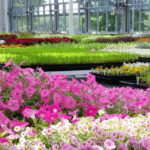 It is May and the greenhouse is full of colorful annual flowers waiting to be planted in the Gardens. Garden staff carefully monitors the plants, making sure they receive the right amount of water. They don’t want the plants to dry out, but too much water can also be a problem. If plants bloom too early or start to get too tall, they are “pinched” so they will be bushier. This continues until a few weeks before planting. When they go in the garden beds, most plants are already blooming and give the Gardens instant beauty. When the temperature in the greenhouse reaches about 75° the vents open automatically to make sure it does not get too hot. Often the doors and side vents are open so the plants get used to a breeze before they go outside and experience real weather. 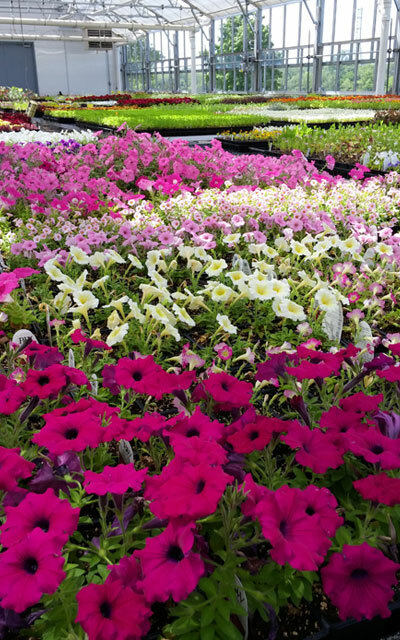 Here is a photo of the greenhouse interior showing many of the gorgeous petunias that will be planted in the Gardens. Every year there are new ones on the market and Gardens staff just has to try them! 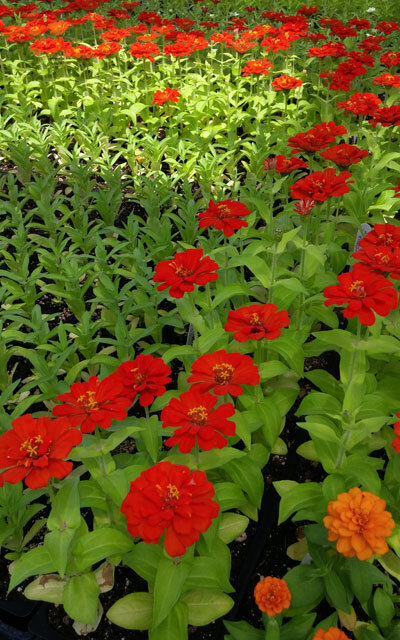 The other photo shows a closeup of some bright zinnias just starting to bloom.